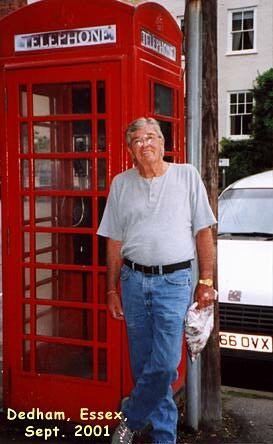 Born Jack Oliver Neal in Norfolk County, Virginia, on 7th November 1930. 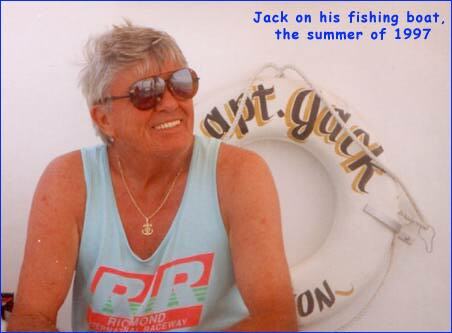 Jack had 2 older brothers that played music, one played guitar, and the other steel. At around 15 Jack, who by this time played guitar, joined his brothers in a band. 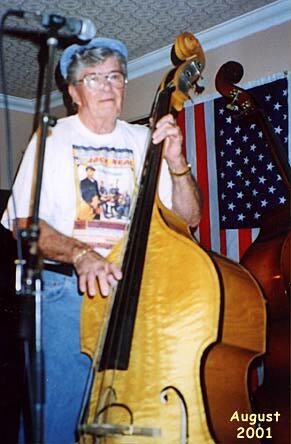 While playing locally at 'TT's Place' Jack was shown his way around an upright bass by the lady bass player in a band they shared the bill with. Jack switched to the bass. Around 1952 he bought a Kaye 5 string bass, never knowing what he was supposed to use the 5th string for, he took it off and used the more conventional 4 strings. Having joined the musicians union, he began playing semi-professional whilst working days at the local Ford assembly plant. 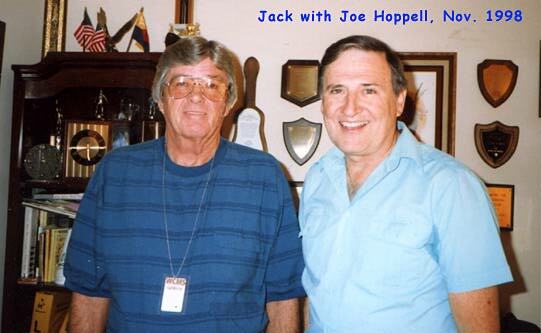 Jack also began playing with 'The Virginians', the house band at the local radio station W.C.M.S. in Norfolk. Cliff Gallup also played with 'The Virginians'; they backed just about all the acts that passed through Norfolk at the time, including Ferlin Husky and Marvin Rainwater. 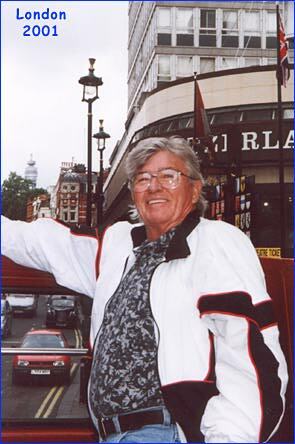 In fact Jack & Cliff worked with the 'Virginians' unpaid, playing for the honour, enjoyment and experience of playing with the visiting acts. Jack believes he first meet Gene in 1955. "Be Bop A Lula" was the first song he ever heard Gene sing. He loved Gene's voice and thought his style was a little like Elvis Presley." Jack began to play behind Gene on W.C.M.S. 'Country Showtime' and went on to record a demo of "Be Bop A Lula" to pitch to Capitol Records who were looking for an act to rival RCA's Elvis Presley. After wooing crowds at the South Norfolk Grand Theatre and on the lot of "Wilkin', a local Chevrolet dealer, the band - Gene, Jack, Cliff Gallup, Willie Williams & Dickie Harrell were called by Capitol Records to the Owen Bradley Studios in Nashville to record their first session. On May 4th 1956 they cut 4 songs - "Be Bop A Lula," "Woman Love," "I Sure Miss You" and "Race with the Devil." They returned to Norfolk and continued to play locally and sometimes out of town on the weekends. On June 2nd Capitol released "Woman Love" b/w "Be Bop A Lula." The group by this time named the Blue Caps waited for something to happen." On June 16th it entered the billboard charts and the rest is history. Jack recalls he and lead guitarist Cliff Gallup, both family men thinking long and hard about quitting their day jobs to go on the road, leaving their wives and children behind, but as Jack was to say many years later "if I didn't do it, I'd always be wondering ... what if!". 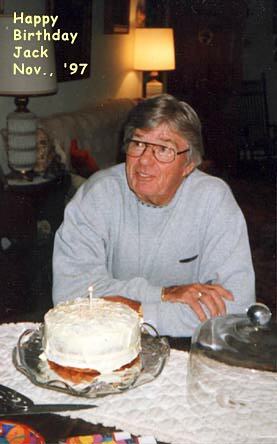 Jack went on to record 35 released tracks with Gene and the Blue Caps. He toured up and down the U.S.A. & Canada appearing on TV shows including the Perry Como show (hosted by Julius LaRosa whilst Perry was on vacation) in which Jack also had a 'bit part' in a sketch playing a waiter, he had to hand Perry Como's stand-in a menu, which he did but upside down on live TV! Crowned by a trip to Hollywood for a spot in the motion picture "The Girl Can't Help It" and working a stint in the Sands Casino in Las Vegas, Jack quit the Blue Caps to return home to his family. Jack never saw Gene again. On his return to Norfolk, Jack went back to working days in the first job that came along, a car repairer on the railroad. Jack played nights doing 'pick up' gigs for the musicians union with any group/combo's that needed a bass man. 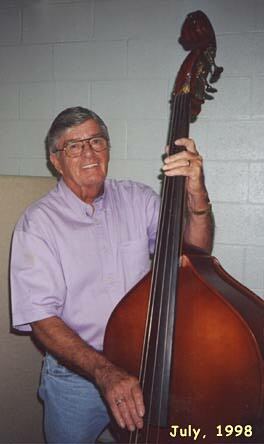 Jack grew tired of the late nights and in the mid 1960's gave up playing altogether and sold his bass. 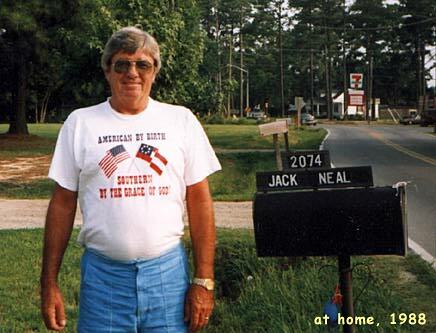 By then Jack had started work for the Virginia Beach School Board, first as a plumber's helper, then plumber where he stayed until his retirement in 1993. 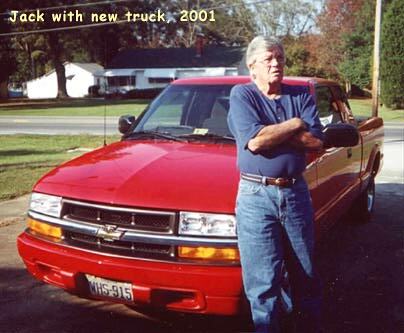 Since retiring Jack has been working part-time as a driver for a dental lab. 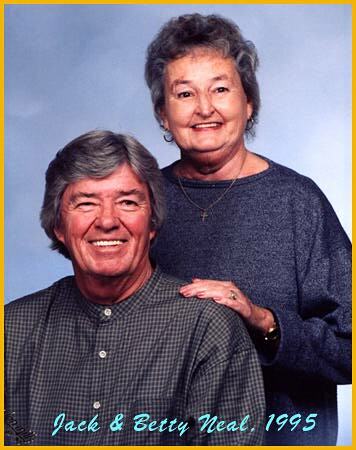 For many years Jack and his wife Betty followed Nascar racing, pulling their trailer to many of the racetracks in the south at the weekends and vacation times. Nowadays they are content to just watch the races on TV." Jack also enjoys boating, fishing, eating seafood, hanging out with his grandchildren and of course listening to music, mostly country & jazz. As many of you know, in August of 2001 after renting a bass and practicing for just one month, Jack played a show for the first time in over 30 years. The show was in London and was a resounding success, packing the venue with fans from all over the U.K. as well as Germany and other European countries. Readers will want to get the August issue of "Now Dig This" magazine. Shall we count the ways? 7 A short review of the "Bluejean Bop/Gene Vincent Rocks And The Blue Caps Roll", mentioning that it contains the first ever unflawed CD issue of "I Flipped"